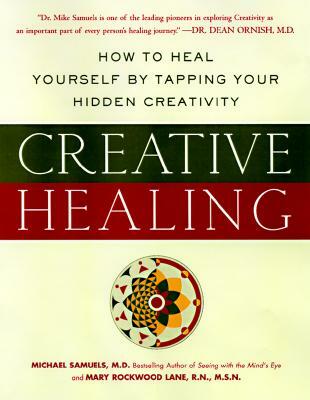 Creative Healing is a book which takes each of us on the journey of art and healing. In a clear simple way it explains the new field of art and healing, it shows us the scientific studies of how art heals, it tells us how is has been used throughout human history, and it gives us examples of how it is being used today in university medical centers around the world. More importantly it shows us how we can use the creative spirit to heal ourselves or our loved ones right now. All of the material on this site is in the book in much greater detail. This book is for people who are ill with any illness, physical or mental. Art works for a person having depression from a divorce, someone with cancer or AIDS, and a person on a spiritual path. This book is for to people who are interested in art and feel it is empty for them, to artists and art educators, and to people interested in art and culture. It is for people who are interested in healing and feel it lacks heart or meaning, to doctors, nurses, and therapists and to people interested in holistic healing. Finally it is for to people trying to help friends or loved ones heal. by Michael Samuels, M.D., and Mary Rockwood Lane, R.N., M.S.N. Creative Healing presents readers with the inspiring ways in which the arts (painting, writing, music and dance) can free the spirit to heal. Through guided imagery, personal stories, and practical exercises, the authors teach you how to find your own “inner artist-healer,” enabling you to improve your health, attitude, and a sense of well-being by immersing yourself in creative activity. A practical and detailed exploration of the ways in which the arts can free the spirit to heal, CREATIVE HEALING includes: � Dramatic real-life examples; � Step-by-step exercises for igniting the creative process; � Fascinating historical roots of art and healing; � Information on art healing programs across the country. Not only are Michael Samuels, M.D. and Mary Rockwood Lane, R.N., M.S.N. renowned in the field of art and healing, they also have first hand experience with the transformative power of art in health care. When Michael Samuels’ wife was diagnosed with cancer, he began journalling. “It became a story of bravery and of Nancy as my teacher….Somehow my vision was of her beauty, not her suffering, and that is the vision I hold even to this day.” He is the founder of Art As A Healing Force, a project devoted to incorporate art with healing. Several years ago, Mary Rockwood Lane was in a deep depression over her divorce. She was in therapy, but was unable to deal constructively with her life, children, or friends, until she started painting, something she had always dreamed of doing but never tried. Over the next few years, she not only became well as she painted, she became the artist she had always wanted to be. She is currently cofounder and codirector of the Arts in Medicine program at the University of Florida, Gainesville, the largest arts and healing program in the country. Order from Amazon.com now – Download full version in PDF for free.